Update: Mere moments after Larry Kudlow made it very clear just how disappointed and betrayed Trump felt by Mary Barra's layoff and plant shuttering announcement on Monday, the president tweeted that he is "very disappointed with General Motors and their CEO, Mary Barra, for closing plants in Ohio, Michigan and Maryland" even as nothing was being closed in Mexico & China. As a result, he is "now looking at cutting all GM subsidies, including for electric cars." The reason for Trump's anger? 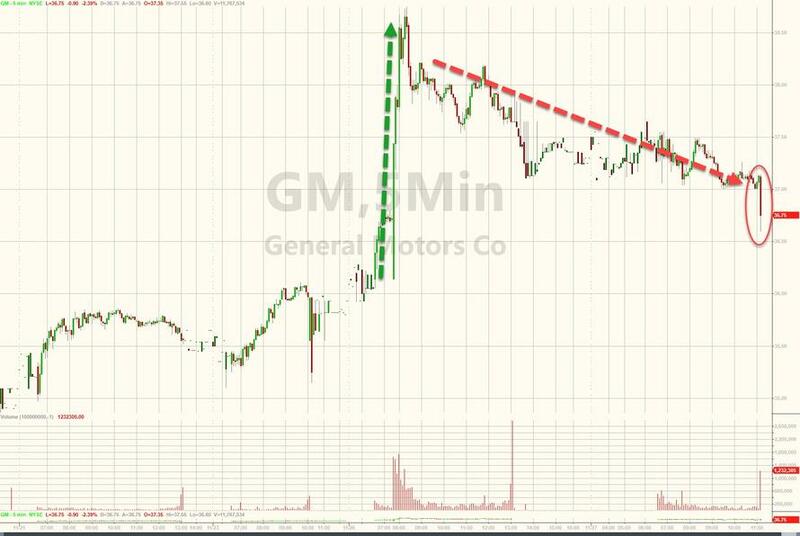 "U.S. saved General Motors, and this is the THANKS we get!" ... even as Tesla is now higher on the day. One day after GM CEO Mary Barra met with National Economic Council director Larry Kudlow at the White House, shortly after the US auto giant announced plans to shutter five factories in the U.S. and Canada and lay off over 14,000 employees, Donald Trump’s top economic adviser said he had conveyed to Barra the "president’s anger" over her plans to close U.S. factories and lay off thousands of workers. Kudlow also made it clear that the "angry" President feels betrayed, and believes that General Motors "turned their back on him" in announcing layoffs and plant closures. 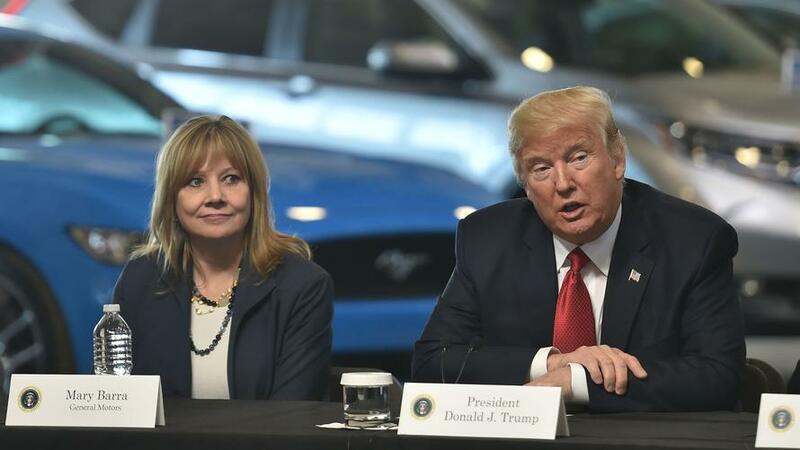 While investors cheered the news, sending GM shares higher, but in Washington there was bipartisan anger that the company is trimming its workforce in the midst of an economic expansion. "These are their business decisions, I just think there’s a tremendous amount of disappointment, maybe even spilling over into anger. President Trump expressed his dissatisfaction, lots of other people did, this is a bipartisan thing", Kudlow said. 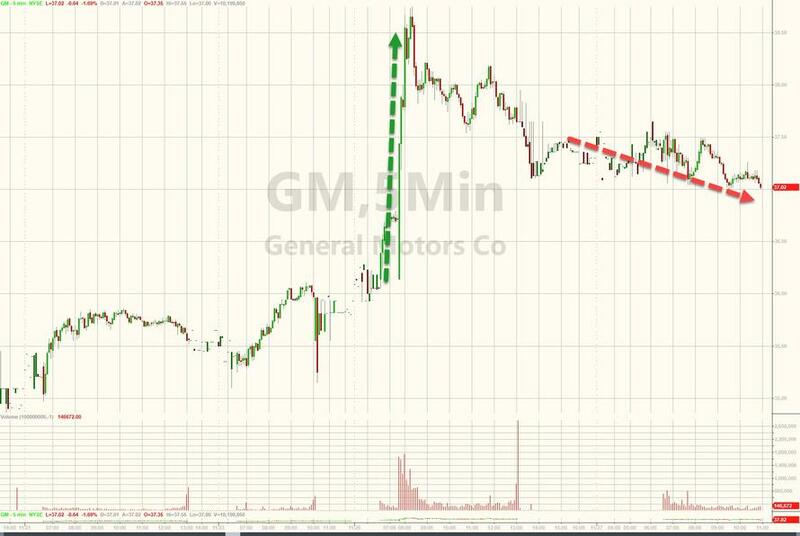 "I met with [GM CEO Mary] Barra, whom I generally like. I have no idea if she’s made the right decisions or the wrong decisions, it’s not my business. I do think, however, the president’s point of view is, we concluded the USMCA deal which really helped the American auto business and American auto workers, and was designed to do that. And the car companies supported us" Trump top econ advisor told reporters according to Axios. As Axios notes, since for Trump, politics is always personal, for GM this likely means (much) less influence over future policy.